We offer junk removal services in Winnipeg for your home or business including offices, retail locations, construction sites, and more. Let our professional, uniformed staff remove items from basements, attics, garages, backyards, and any other place you can think of. We do all the heavy lifting, loading and sorting to ensure your junk gets recycled, donated or disposed of responsibly. 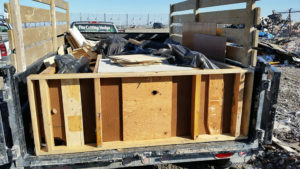 Once you have booked and confirmed your appointment, Chuck It Junk Removal Winnipeg staff will arrive. 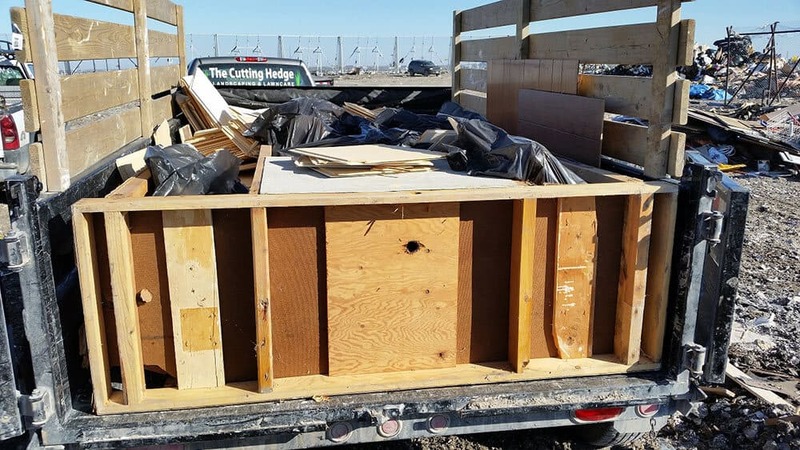 From there, all you need to do is tell us what you would like removed, and our friendly staff will load all of your junk into the truck or trailer, remove it from the site, and dispose of the junk or garbage in the proper manner. 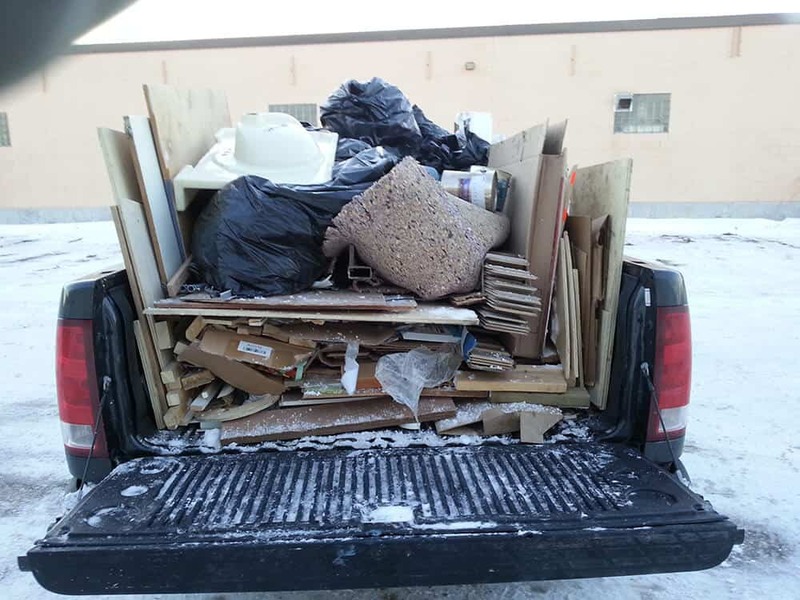 Chuck It Junk Removal Winnipeg specializes in the removal of all household garbage, furniture, appliances, electronics, scrap metal, yard waste, and construction materials. Our staff are trained to separate all recyclables and donations from the garbage as well as properly dispose of all hazardous goods such as paints, batteries, aerosols, etc. Click here to book your junk removal service today! Our prices are based on the volume, weight, and the time it takes to load. At Chuck It! Junk Removal Winnipeg, you will find our prices to be extremely competitive, and more affordable than those 1-800 guys. Please see below to get a quick estimate of how much your junk removal will cost. – Removal of Items from within the home may be extra. 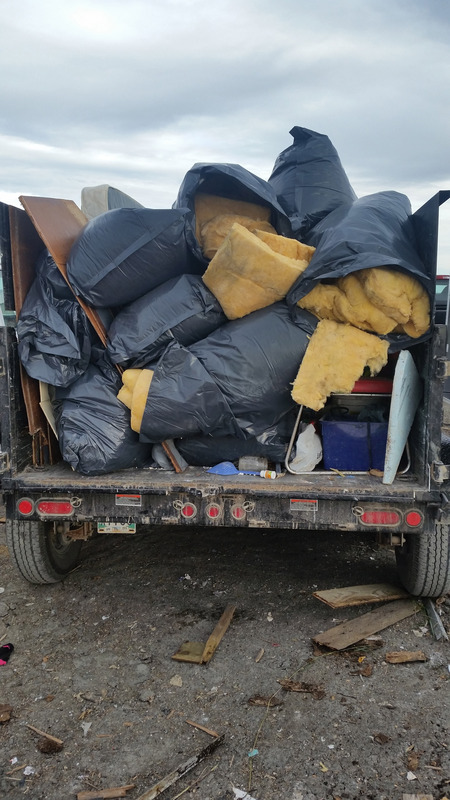 If you do not know the exact amount of junk to be removed and need a quote, or just prefer not to book your Junk Removal service request online, please do not hesitate to call or text Nick at (204) 461-5865. Chuck It! is proud to service Winnipeg as well as the surrounding area including Stony Mountain, Stonewall, Tuelon, and Warren.